Tashkent is a strange mixture of a modern metropolis and the unique color of the eastern city. Taking a walk in Tashkent, you will see graceful European constructions of Turkistan Governorate General, monumental buildings of the Soviet era, blue domes of mosques and madrasahs, and glittering facades of modern buildings. During the tour you will visit the city’s old and new parts, explore a real eastern bazaar, and take the Tashkent metro - one of the most beautiful in the world. Duration: 5 hours Сities: Tashkent. 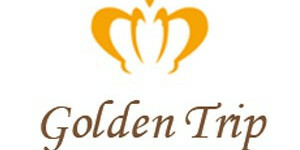 A guide and driver will meet you at the hotel, which is a starting point of the city tour. Visit Old City part of Tashkent with Khast-Imam Complex where the world famous Quran of Caliph Uthman – Ottoman has been preserved. In Khast-Imam visit Madrasah of Barak-Khan, Tillya-Sheykh Mosque, Mausoleum of the Saint Abu Bakr Kaffal Shashi and the Islamic Institute named after Imam al-Bukhari. Then take a ride on Tashkent Metro to city center with Amir Timur Square, Independence Square and Applied Arts Museum.